I grew up in cities and suburbs in the Northeast, and I’ve always dreamed of getting out and away from all of those people. It’s not that I’m not a social guy, or anything, but I crave a little more solitude in my life--and a little more simplicity. When I was a kid, I wanted to be a farmer. I’m majoring in English now, but I’m getting frustrated with academia. I’ve started to think again about getting away from everything. I’ve started to dream about the farming life again. I’m thinking about asking my family to give me some of the money they’ve saved for my education and then using that cash to start a small farm somewhere. I think it would be far more relaxing than my life now. My friends think I’m nuts, and urged me to talk to someone about it. So here I am: experts, is my plan feasible? It’s absolutely possible for you to make a career in agriculture. After all, around 2.3 million people already do! But whether or not you’d actually enjoy agriculture as much as you seem to think you would is another matter. Many farmers would tell you that they enjoy their work. But they would also tell you that the idyllic and simple life that you’re describing doesn’t entirely resemble the one they live. Farms are businesses, after all, and they have the expenses, concerns, and stresses that you’d expect of that reality. For one thing, you’ll need some significant start-up money--more, perhaps, than your parents have saved for you. You’ll need real estate--and you’ll need your property zoned for agriculture, the agricultural construction leaders at Everlast Roofing tell us. Farms can have an impact on the communities that surround them, after all. You’ll have regular expenses, too, like supplies and seeds, say the providers at Siegers. Just as with every other type of business, you’ll have books to balance. You’ll also need insurance and may need heavy equipment. You’ll need employees and will have to pay for their benefits. And the smaller you keep your farm, the costlier your produce will be--making it tougher to get by in this business. And, on top of all of this, you’ll have to work very, very hard. “Relaxing” is not necessarily how many would describe a business that demands early wake-up times, long days, and daily labor, rain or shine. But we’ve been tough enough on you: maybe you really do want to take on this tough task. If you do, dropping out of school may not be your best move. 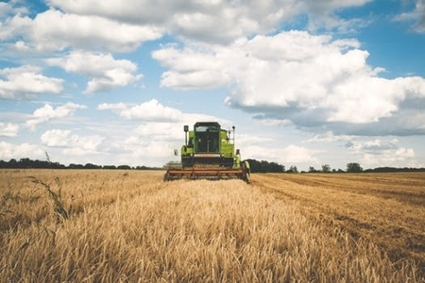 You can study agriculture in college, and a degree can help you with your business. You should also consider speaking to farmers who are living the life you want to live. Small farms do exist--in fact, small farms account for 91% of all US farms, and there’s no reason that you couldn’t found the next successful one. You should be realistic about your dreams--but if your dreams are compatible with the reality that you’d see if you achieved them, then you should chase them. Good luck!